Both interpretive centres include displays featuring site plans, artist renderings, construction schedules and other details about the new hospitals. 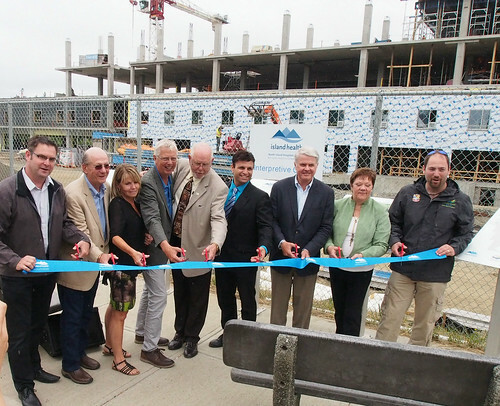 The centres also include benches build by students at Comox Valley School District’s (School District 71) Sandwick Technical School. The Comox Valley Hospital site interpretive centre is located just off the sidewalk on the west side of Lerwick Road in Courtenay. 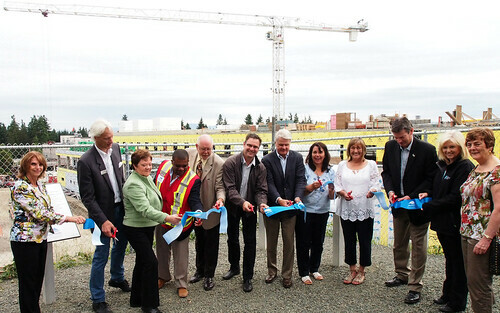 The Campbell River hospital interpretive centre is located near the Campbell River City reservoir overlooking the southwest corner of the construction site. Roughly 440 people are working on the two construction sites at this point, including 75 apprentices. Construction of the new hospitals will create an estimated 1,900 direct jobs and 1,400 indirect jobs over the life of the project.